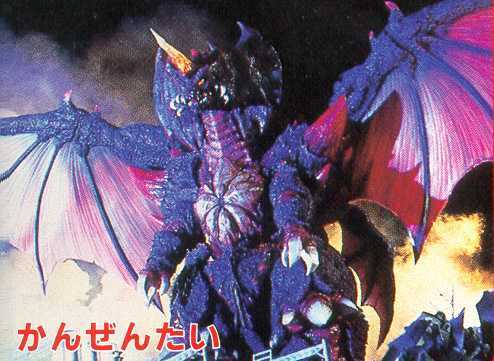 Below are the the kaiju godzilla battles in the Heisei series. 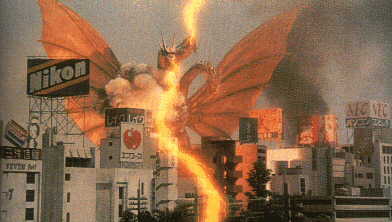 Origin: A cross between godzilla and a rose, it also has within it a human spirit. In it's first form, it looks like a giant rose. It's final form is pictured below. Powers: lightning beams from mouth. Origin: Originally a trio of geneticly engineered creatures called Dorats. 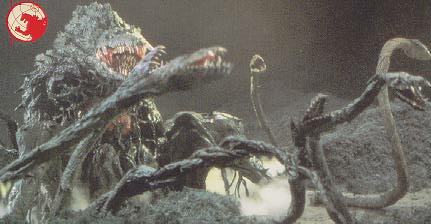 These dorats were exposed to radiation on Lagos island, and mutated into King Ghidorah. 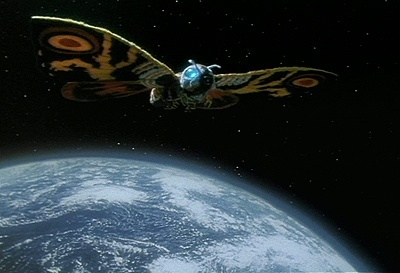 like mothra's alter ego. Destroyed the ancient civilization of the cosmos. Powers: Corona beams from anttaenea, anti-nucular dust, flight. Origin: Protecter of an ancient civilization called the cosmos. 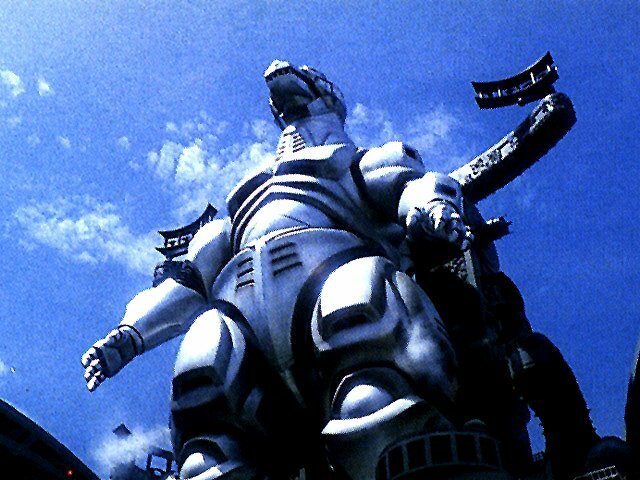 Origin: Robot created to destroy Godzilla by the U.N. 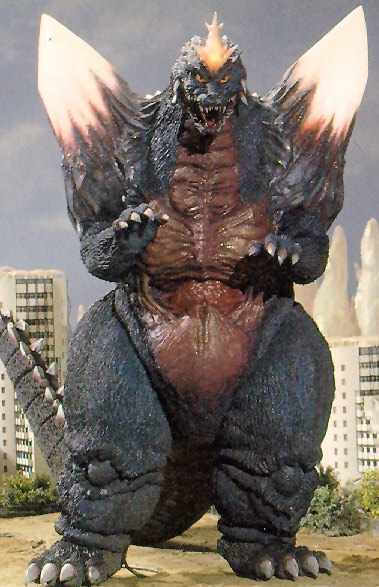 Origin: Giant Tyrannadon mutated by radiation. Powers: Corona Beams from shoulder crystals, Telekinisis, Gravity Tornado. 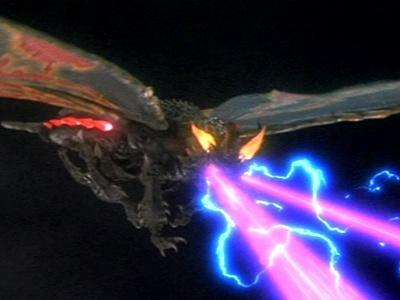 Origin: G-Cell that was sucked thru a black hole, and fuses with a crystal-like organism that mutates into SpaceGodzilla. Origin: Microorganism mutated by the Oxygen Destroyer.